You can find full details here, but Rock-Paper-Scissors basically defines a circular set of states that trump one of the others, and is vulnerable to the third. And this relates to Game of Thrones how??? Okay, okay. In my opinion, there’s a Rock Paper Scissors situation going on in Westeros. I’ll get to that in a moment. When two people are playing Rochambeau, there are only two outcomes: someone wins, or there’s a tie because both players did the same move: two papers, or two rocks. Etc. When more than two people are playing, it’s unlikely that there will be a tie where all players make the same move, but it’s likely that there will be a different type of tie where all three elements are in play, providing no clear winner. But what if for some reason, some of the players could delay their move? Particularly if they were limited in what they could play. Player One: Grrr. Okay, we’ll go again. Rock. Player Two: Paper. Look, I know all you have is Rock, so I’m keeping Paper up. It’s like a big paper wall, 700 feet high, stretching all the way across the continent. So there’s no need for you to even play. I win. Player Three: Can I play? Scissors! Player Two: Crap. I’m dead. Player One: So you’re out? Player One: ROCK! Rock smashes Scissors! I win! In my opinion, this describes the long standing conflict between the Others in the Far North, the northmen who protect the realm, and the South. The nice, warm, cozy summery south. Beyond the Wall in Westeros lies the uncivilized domain of the Wildlings, but also the lands of the chilly inhuman Others, usually referred to on the show as the White Walkers. We don’t know much about them, but they appear to be hostile and are becoming more active. The Winner of the Miss Winterfell Beauty Pageant. Twice! Thousands of years ago, there came a night that lasted a generation. Kings froze to death in their castles same as the shepherds in their huts. And women smothered their babies rather than see them starve. And wept and felt the tears freeze on their cheeks. In that darkness, the White Walkers came for the first time. They swept through cities and kingdoms, riding their dead horses, hunting with their packs of pale spiders as big as hounds! Heroes banded together and defeated the Others, sending them back to the North. And as a protective measure, the Wall was constructed to prevent incursions of the supernatural boreal menace. The Night’s Watch, a monastic order of warriors, was formed to man the Wall and prepare to defend the realm. The Night’s Watch is in many ways dependent on the South, for supplies and manpower. The Night’s Watch swore to have no invested interest in the political affairs of the realm, and in some ways was vulnerable to the realm. The fortresses that dotted the length of the Wall were not fortified, save for the giant Wall of ice on their northern exposure. Should armies from the south decide to take these castles for some reason, there would be little possible resistance. Over the years, the perceived threat from the uttermost north has dwindled. People no longer believe the old stories, and the Wall is not manned by brave volunteers in a war between humanity and inhumans, but is used as a prison, keeping out ragged bands of raiders. The south has effectively “cut off” real support to the Night’s Watch. Okay, I’m stretching the actual scissors analogy a bit there, but I just wanted to set up the players. It’s always better to put some faces on these abstract situations. We’ve already labeled the Others as the Rock that’s threatening Westeros. It’s a long, patient threat that can afford to wait. Wait as long as necessary. I don’t think it’s a stretch to cast Ned Stark in the role as Paper, the Shield that intercepts the Rock. He’s a supporter of the Night’s Watch (his brother is the lead ranger and Ned encourages Jon Snow to join the Crows.) Whether Ned believes that the Others are real or not is not extremely important. He’s a believer in the traditions that exist to defend against the Others, to prepare for and survive the Winter. That’s Like the Last Happy Moment on the Show. Ned is a big picture guy, and is given to strategic thinking against the long-term threat. He puts his faith in doing what’s right, and hopes that others do the same, regardless if he expects them to. Unfortunately, when ordered to come south by the King to serve as Robert’s Hand, he was forced into a more tactical arena, under the influence of this guy. Curse Your Sudden But Not Unexpected Betrayal! Littlefinger is the Scissors. Or the knife in the back. The knife that cuts the straps of the Shield. Littlefinger is given proper respects for his cunning and strategic manipulation. But it’s a short-term strategy, if we measure against the time-scale of the Others. Based on his conversations with Varys and Sansa, Baelish is all about shaking things up while being in a position to take advantage. 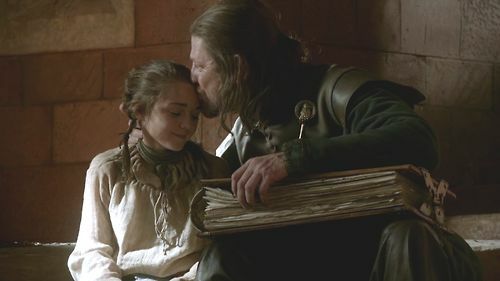 This might benefit Littlefinger in the immediate, but can’t be good for anyone in the long run. If Scissors never notices the threat of the Rock, it might seem like a good move to take out Paper. Until the Rock comes. 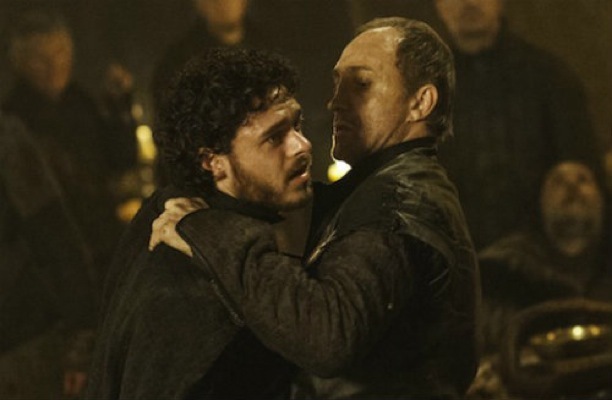 It’s an even more dire situation in the North, after the betrayal of Robb Stark at the Twins. With Roose Bolton now the Warden of the North, with Winterfell under the Flayed Man’s banner, it seems apt to say the Scissors is now in control south of the Wall, making things even easier for Rock when it opts to play. 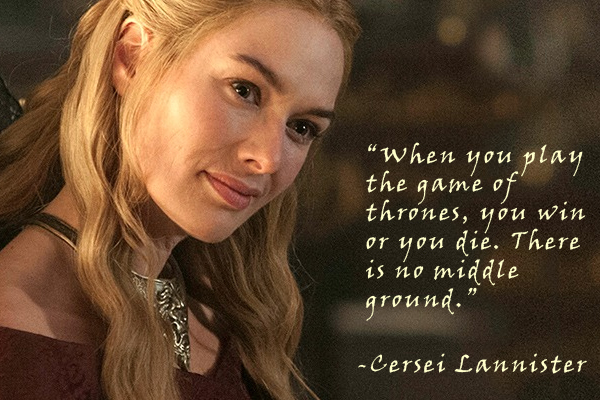 Cersei is known for describing the politics of ruling as a rather bleak situation, something like the ultimate Zero-Sum Game. But the game of who is ruling from King’s Landing is not as important as the bigger game between the far north, the north, and the south. Shouldn’t Dragons be in this Mix? Well, yes. Typically Rochambeau is a three element game, with each element trumping one and being trumped by the other. In recent memory (and popularized on the CBS show The Big Bang Theory) there’s a variant of the game where there are five elements: Rock, Paper, Scissors, Lizard, Spock. I can’t remember the details, but each element trumps two other elements, and is trumped by two. This variation does provide an interesting level of complexity and unpredictability in game-play. Daenerys Targaryen’s dragons are certainly an element to be dealt with, since should she decide to invade Westeros, it’ll be a dramatic change in the political status quo. Will the invasion weaken the realm and play unknowningly into the hands of the Others? 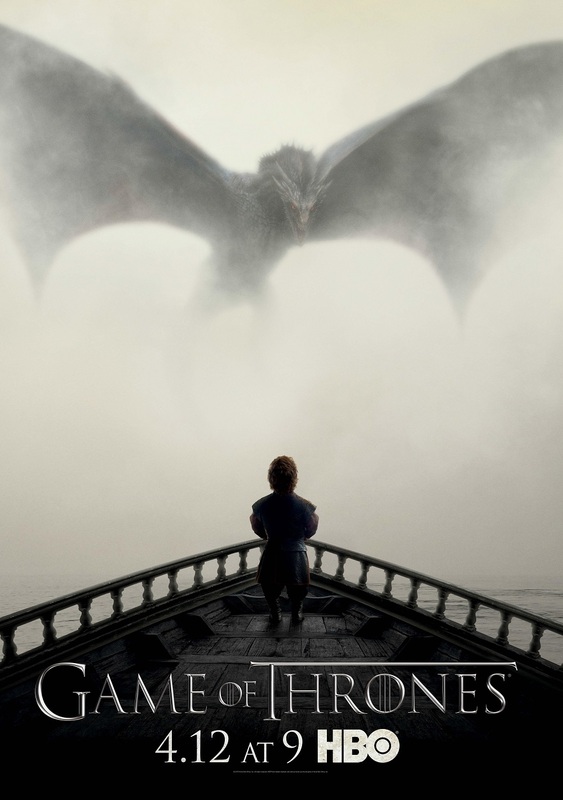 Or will dragons be effective in combating the icy supernatural threat? 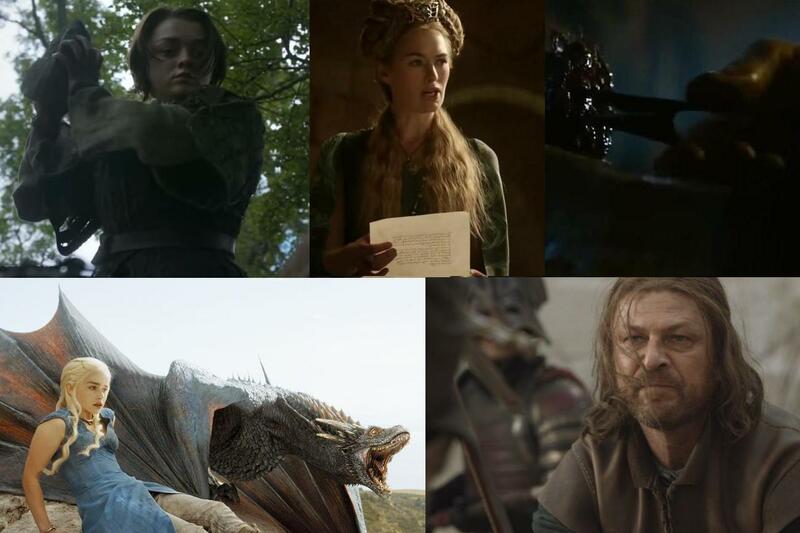 Or will the dragons be an even worse threat to the realm? The Others: Dragons? Lets wait five more winters. We’ve got time. Our undead legions aren’t getting any deader. If you can’t win, don’t lose. Thank you so much. 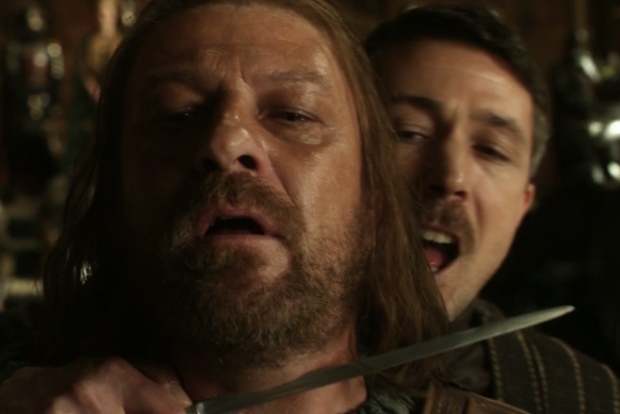 The post is clearly just another pot-shot at Littlefinger. When I was writing up my Baelish post a few weeks ago, it was going to get kind of big, so I pulled a chunk out for here. “If you can’t win, don’t lose.” Lol Nice. When I know I’m going to lose I just try to go out with a bang. This series has become like a black hole in my life. It’s awesome or maybe awesomely terrible because some of my favs are dropping like flies or having their heads ripped apart. Whaaaaat?! Yep. Sigh. 🙂 I know what you mean! Gather strength in the knowledge that you have like-minded people to share your sorrows with. Ah, Prince Oberyn. He was so great. Totally different perspective on the show. And OMG. The posted for season 5. OMG. Fullstop. Heartbeat stops. That poster generated a lot of excitement! I love Rock, paper scissors! (No seriously, I play it with my brother a bit too much for an intelligent person…..). I like the comparison you made, and I actually kind of agree with you. 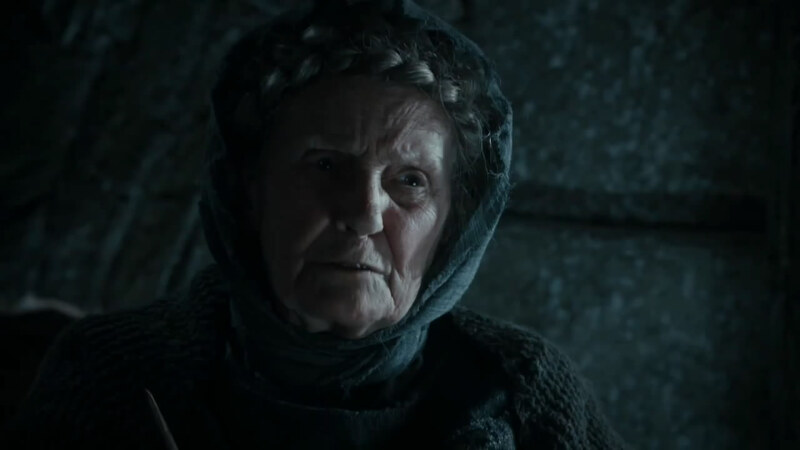 However, your assuming that if the Wall falls, the whole of Westeros will just implode. That may or may not be true, because the south does have a huge population, and more importantly more houses. And more houses means Valyrian Steel. I agree that I reduced the long term supernatural threat into very simple terms, and should the Others breach the Wall, it’s possible that the Kingdoms could set aside their disputes to respond. I did think about casting Stannis in a paper role, since he’s a stickler for rules, is always sending I Am the King manifestos to the lords, and is actually responding to the northern threats. 🙂 Thank you so much! That Nan! I like your analogy! It is very ingenious.